Keeping your potatoes high quality and fresh through the shipping process is critically important. 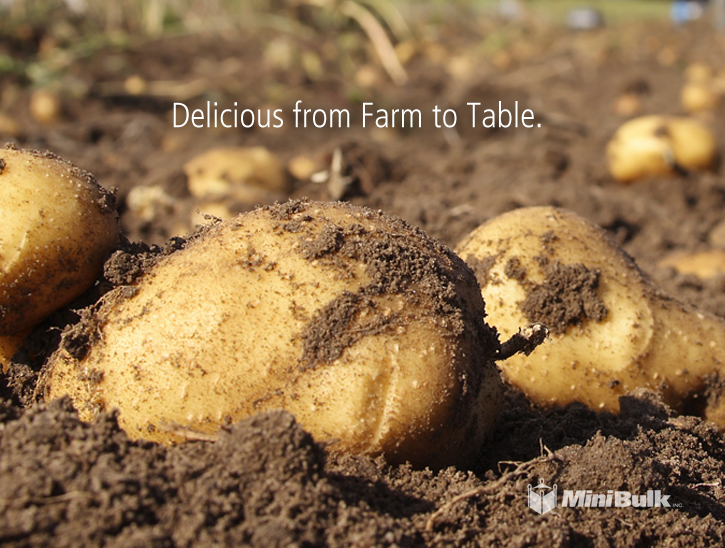 Potatoes are the number one non-grain food crop in the world, due in part to their ease of storage and long shelf life. In fact, according to StatsCan, Canada produced over 4.7 million tonnes of potatoes in 2016 worth $1.2 billion! Poly Woven Bags - Big Things in Small Packages for 2018! If you visit our website (and you should), you can see that the major focus of our business is dedicated to bulk bags. These heavy-duty, flexible containers are used around the globe to ship all manner of granular goods. From the organic growing medium you plant your seeds in to the exporting of your harvested crops, bulk bags are essential to a growing number of consumers all over the planet. Can you think of any other bulk container that costs pennies per kilo to move your materials? When figuring out the most efficient method of transporting your bulk goods, it’s very difficult to find anything comparable to the tried, tested, and true MiniBulk bag. Poly Woven Bags - We're Putting the Mini Back in the MiniBulk! If you visit our website (and you should), you can see that the major focus of our business is dedicated to bulk bags. These heavy-duty, flexible containers are used around the globe to ship all manner of granular goods. From the organic growing medium you plant your seeds in to the exporting of your harvested crops, bulk bags are essential to a growing number of consumers all over the planet. Can you think of any other bulk container that costs pennies per kilo to move your materials? 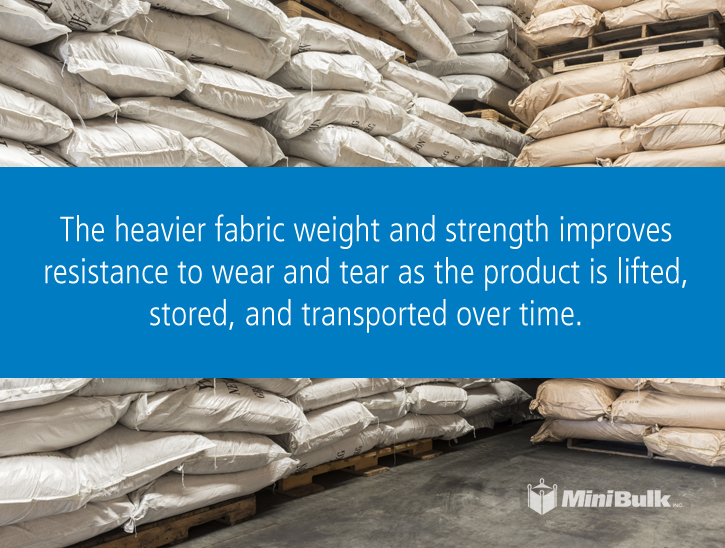 When figuring out the most efficient method of transporting your bulk goods, it’s very difficult to find anything comparable to the tried, tested, and true MiniBulk bag. There is a lot of confusion surrounding what makes a bulk bag “food grade”. Off the top of my head, I can think of the following entities that offer guidelines on food grade packaging: AIB (American Institute of Bakers), CFIA (Canadian Food Inspection Agency), FDA (Food and Drug Administration), HACCP (Hazard Analysis Critical Control Point), ISO 22000 (International Organization for Standardization), BRC (British Retail Consortium), and the latest, GFSI (Global Food Safety Initiative). 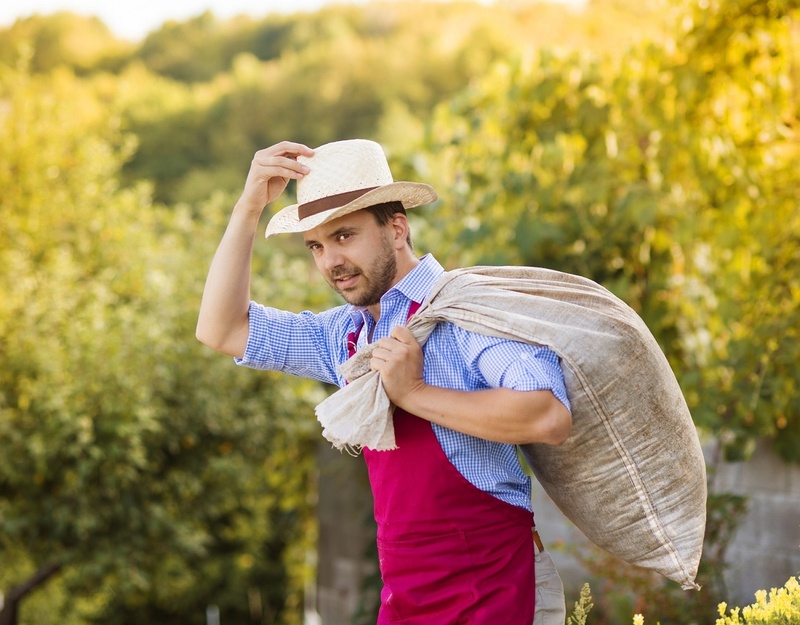 What Questions Should You Ask Before Selecting Your Agricultural Bags? From good insurance to good seed, your eyes are always on the harvest, but what about once the harvest is complete? 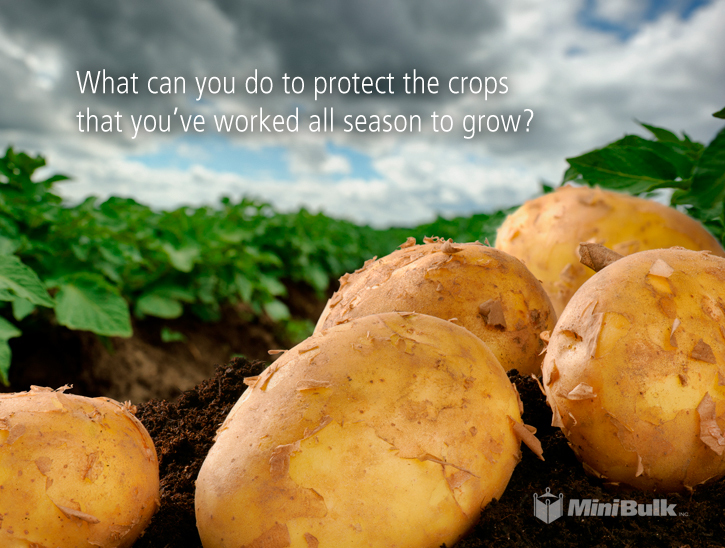 What can you do to protect the crops that you’ve worked all season to grow? As a farmer, you have most likely used woven sacks, boxes and large buildings to store your produce. These are popular and efficient traditional storage systems. There are more modern solutions available now, incorporating durable and customizable plastic. 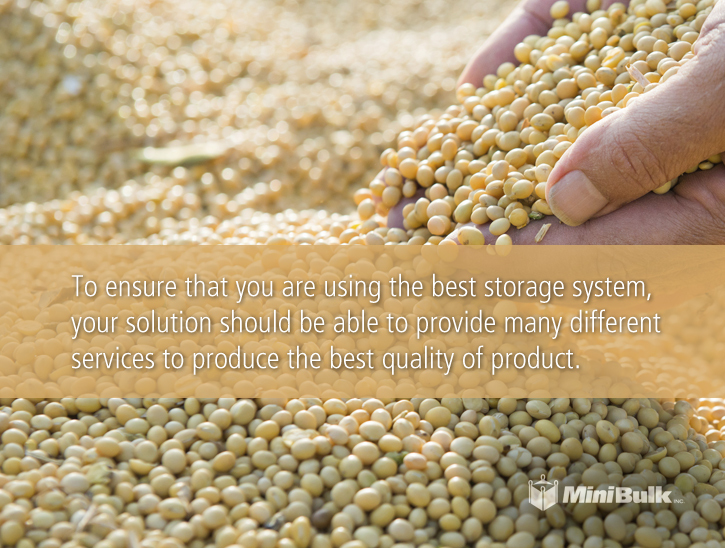 Safely storing seed and grain takes many forms depending on your storage quantity, purpose and location. There are many options for seed and grain storage available to producers today, from traditional woven sacks to more modern metal, concrete and plastic containers. Potatoes are the number one non-grain food crop in the world, due in part to their ease of storage and long shelf life. In fact, according to StatsCan, Canada produced over 4.7 million tonnes of potatoes in 2016! 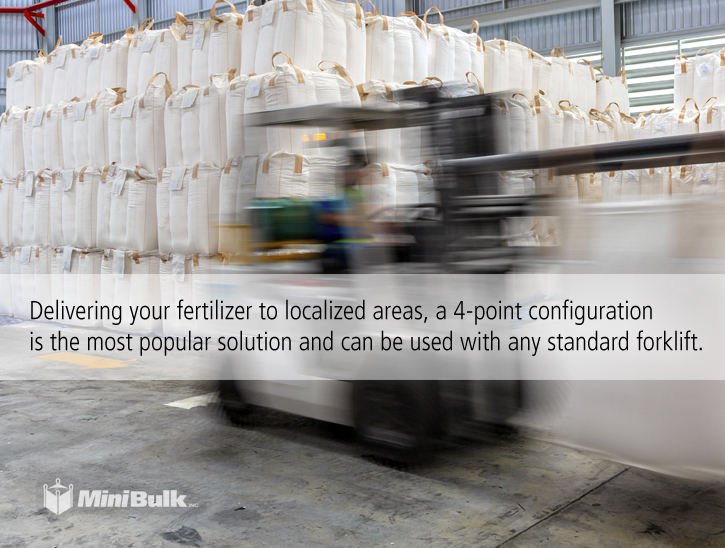 Are You Using the Right Fertilizer Bulk Bags? 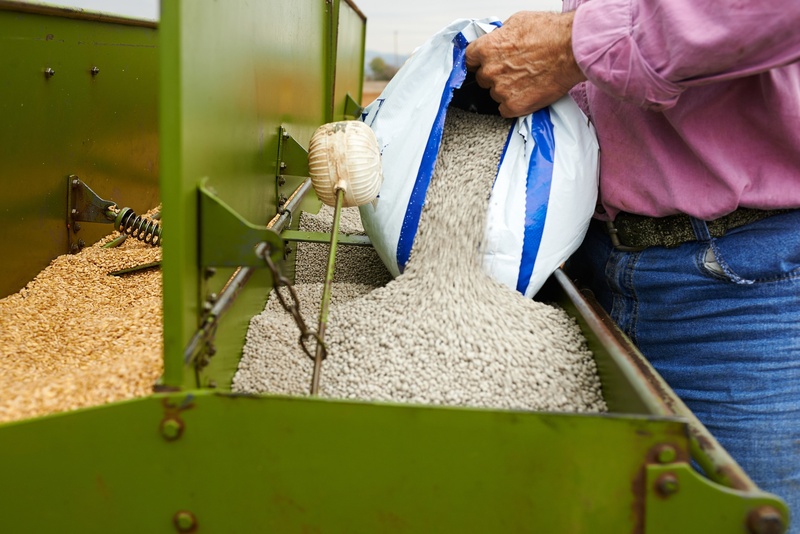 If you’re packaging fertilizer for transport or sale, there are a number of factors that you should consider before buying your bags. We’ve talked before about agricultural bags for storing and transporting your crops. Today, we’re going to talk a little about a different element of the ag industry: fertilizer storage and transportation. Your customers need their fertilizer safe and on time. 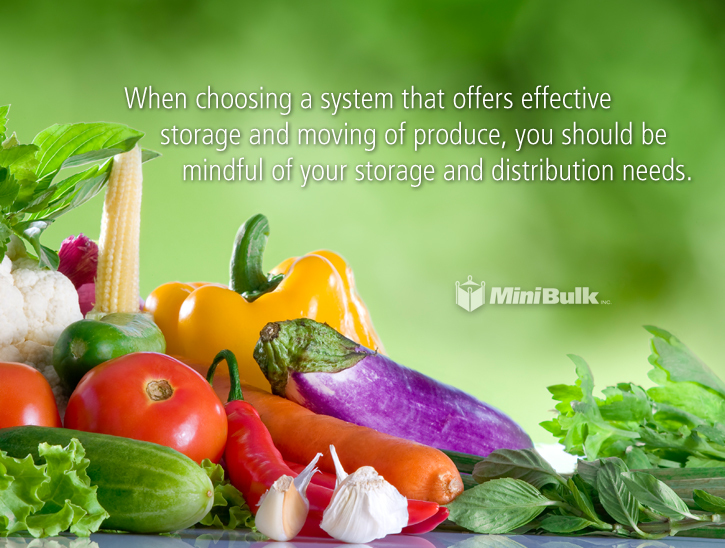 Reliability is the most important aspect of storing and shipping your fertilizer. It is important to find the right balance between product quality and cost efficiency. A privately owned Canadian company, we pride ourselves on providing sensible solutions to our clients' flexible shipping container needs and on being a trusted source of industry knowledge. Our real value is our ability to bridge the gap between our North American clients and the world’s emerging markets.